It is thought that humans only have the ability to utilize 10% of their brain's capacity. This belief is nothing more than a myth. 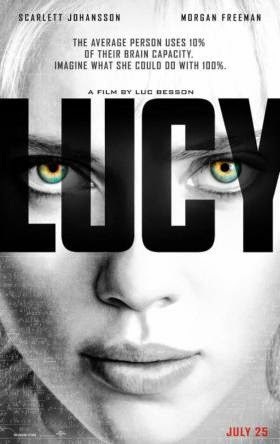 In the recently released movie, Lucy, a fictional woman named Lucy had a bag of drugs inserted into her stomach. The bag began to leak, causing her to be able to access high percentages of her brain. Her new ability allowed her to perform telepathy, psychokinesis, and to function with problem-solving and learning abilities associated with very high IQ. In reality, we do use 100% of our brain. The only caveat to this would be in the case of brain damage or certain diseases. Brain imaging scans prove that nearly all areas of our brain are active even during routine tasks, like walking or talking. The brain uses around 20% of the body's energy, which would be an unusually high percentage if we were only utilizing 10% of our brain capacity. Throughout evolution, the human brain has grown in size and complexity. There would be no reason for such evolutionary progression if at each stage we were not already utilizing its full capacity. It is strange that so many people still believe the 10% myth when you can clearly see all parts of your brain functioning during certain kinds of imaging scans. Good points. This movie looks ridiculous. Even if we did only use 10% of our brains, which I don't believe is true, I'm sure that we wouldn't be able to read minds or move things. But brain damage is a sure fire way to rule out that this myth is only a myth.